If you garden, if you have the smallest patch of dirt–I offer this challenge: grow one thing that you love. Let it be like the lilies of the field that neither toil nor spin, let it have no other purpose except that it gives you joy. You don’t have to eat it or prune it. Just let it flower and make you happy. I have many favorite plants for many reasons. 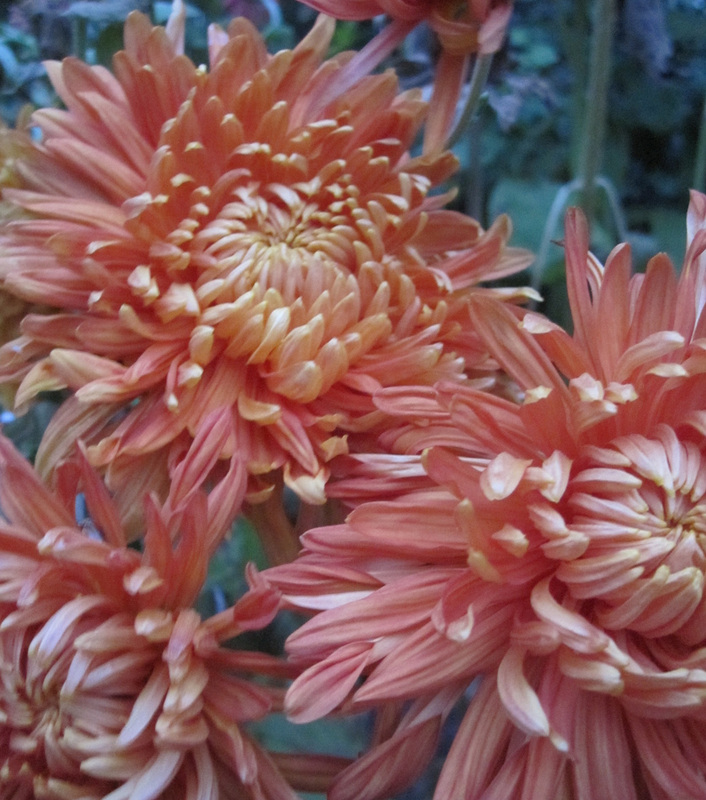 But I grow these ‘Homecoming’ chrysanthemums because I purely love them. They are the last flowers in my garden to open, and they keep going in spite of autumn frost and rain. Indefatigable bloomers, changing from rusty buds to yellowy-peach puffs. I bring big bouquets into the house, where they last for weeks in a vase. I give them away. I visit them in the garden where they tangle around dried-up zinnias and drooping sunflower stalks. Consider the challenge. When the garden catalogs show up this winter, choose the one plant that will make you smile whenever you see it. Or ask a gardening friend for a start of something. Then grow it.